Our recreational soccer program is a neighborhood program that is offered in the fall and spring. Teams are coached by volunteer parents and practice 1-2 times per week in the fall, starting in late August, with games on Saturdays. Cost is $110. In the spring there are no practices, teams just show up to their games on the weekends and the cost is $55 if you participated in the fall. Spring 2019 Recreational Soccer Registration opens on January 1st and closes February 25th. Returning fall players will have priority to be placed on their fall team if they register by January 31st. Please use the Register Now button to register. The spring play dates are April 6, 13, 20, 27, May 4, 11, 18 (if needed). Registration for Fall Recreational Play opens May 1st, of each year. Returning players have priority to be placed on the team they played for the previous fall if they register by May 31st. In the spring returning players have priority for one month after registration opens. Roster availability, including the balance of roster. The Registrar follows the guidelines outlined in the PYSA Registrar’s Manual to determine roster size. Coach, player, or team request. If a player requests a coach/player that cannot be accommodated due to a roster being full, the registrar will place the player on a team that needs players. A waitlist will be created if rosters are full. Coaches paired with Assistant Coaches and their child player. Player requests according to registration date. If an assigned player decides to withdraw their registration, thereby creating a spot on a team that was requested by players to join, the Registrar will reassign/assign players by earliest registration date AND player has requested to play for the team. Questions? Please contact the United PDX Recreational Registrar Kristi Polte polte.unitedpdx@gmail.com. How old does my child need to be to join a recreational team? Recreational teams are formed by grade – first grade (U7) through eighth grade (U14). Our Mighty Mites program is designed for Preschool (U5) and Kindergarten (U6) players. Can my child play with friends? Yes, when registering players have the opportunity to request teammates, a coach, and a team. We do our best to accommodate requests while following our team formation policy. Registering early helps. My child would like to play but doesn’t have a team. Players who don’t have specific teammate, team, or coach requests will be assigned to teams according to our team formation policy. Teams typically begin forming in May for the fall of the players first grade year. Registration opens May 1st and closes late July. All teams are coached by volunteer coaches. Please consider volunteering with your child’s team. See Coach FAQs if you are interested in coaching. 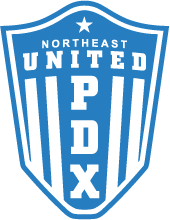 If you have a group of players who would like to form a team please contact polte.unitedpdx@gmail.com. You will receive a confirmation email to the email address provided at registration. Please be certain to double check your spam/junk email folders. Please contact polte.unitedpdx@gmail.com if you do NOT receive a confirmation email after completing registration. After I register and receive my email confirmation do I need to do anything else? No, nothing additional is needed. Your volunteer coach will contact you before the season begins. When will I find out what team my child has been assigned to? Team assignments are finalized after regular registration closes usually at the end of July for Fall and beginning of March for spring. You will receive an email notifying you of your team assignment within two weeks after registration closes. When and where will my team practice? Fall Only – no practices for spring. Coaches choose practice times and locations from a list of available fields. NEU and RCU teams practice in Northeast Portland and Bridlemile teams practice at or near Bridlemile school on the west side. First and second grade teams usually practice once a week older teams twice a week. Practices are held during the week with games on the weekend. Your coach should contact you by the third week in August with that information. In the fall teams usually play 8 games on Saturdays beginning in the last week of August. Spring season usually consists of 6 Saturday games beginning in April. Games are played on fields located throughout Portland. The schedule is usually available from PYSA by the third week in August for the fall season and the third week in March for spring season. What type of equipment does my child need? Soccer cleats, shin guards, black shorts, soccer socks, a soccer ball, and a uniform jersey. U7 size 3 ball, U8-U12 size 4 ball, U13-U14 size 5 ball. Uniforms can be purchased at Tursi’s Soccer located at 8805 SW Canyon Lane or ordered online at www.tursissoccer.com. Players assigned to an RCU team should purchase a red RCU jersey, black shorts, and red socks. Players assigned to an NEU team should purchase a blue NEU jersey, black shorts, and blue socks. Players assigned to a Bridlemile PDX team should purchase a black jersey, black shorts, and black socks. What’s the difference between RCU PDX, NEU PDX, and Bridlemile PDX? Players who attend Alameda, Sabin, Madeleine, Vernon, Faubion, and Beaumont or live in those areas are usually assigned to NEU teams. Players who attend Roseway Heights, Lee, Scott, Vestal and Rigler or live in those areas are usually assigned to RCU teams. Players who attend Bridlemile will be assigned to a Bridlemile team. Yes, assistance is available for members who qualify for either the National School Lunch Program (Free or Reduced School Lunch) or Supplemental Nutrition Assistance Program (SNAP). To access the program qualifying members just need to check the box affirming eligibility during the registration process to receive a fifty percent reduction in their fees. If members need assistance beyond the 50% fee reduction please contact Ryan Youngblood at youngblood.unitedpdx@gmail.com. The Club will refund recreational registration fees (minus a $15 processing fee) up to the second week of scheduled games. The second week of scheduled games marks the end of all registration and refunds for recreational players. Please contact polte.unitedpdx@gmail.com to cancel your registration and get a refund. Players who register after regular registration closes may be charged a $15 late registration fee. All recreational teams are coached by volunteers. Most coaches are parents of a player on the team. Each team is required to have at least two volunteers present at all times. No adult should ever be alone with a child. What if I’m interested in coaching but not sure I’m qualified? Thank you! We’re always looking for enthusiastic coaches – some soccer background is helpful but not required. We are part of PYSA they have practice plans and free coaching clinics. Please see their website www.portlandyouthsoccer.com. If you can’t coach but still want to volunteer, please register as team manager to organize snacks and an end of season party. I’m interested in volunteering with my child’s team what should I do? Great! Our volunteers are our most valuable asset. If you are interested in forming a new team please contact polte.unitedpdx@gmail.com. If you are interested in volunteering with an existing team please register as a coach/volunteer through our website. How do I register as a coach or team parent? All adult volunteers must be registered and have completed a background check. To register and submit background check information please go to our website www.unitedpdx.com, use the Member Login to log into your account (returning coaches) or create a new one (new coaches), choose Register Now, and register for the current season as a coach or volunteer. I registered as a coach/volunteer last season do I have to do it again? Yes, coaches are required to register every spring and fall season. I’ve decided to coach a team does United PDX provide equipment? Yes, equipment will be provided to you. You can collect equipment at the coaches meeting in early August or contact Erik Miller at miller.unitedpdx@gmail.com. Coaches choose practice times and locations from a list of available fields located in Northeast Portland or near Bridlemile. First and second grade teams usually practice once a week older teams twice a week. Practices are held during the week with games on the weekend. You will be able to choose your practice time/location at the coaches meeting in early August. Other questions? Please contact polte.unitedpdx@gmail.com. This program is for players in 1st – 8th Grade. Teams consist of players who live in the same neighborhood. Teams practice 1-2 times a week with Saturday games in the fall, no practices and just a Saturday game in the spring.